When it comes to performance jackets, a quick online search will result in many mentions of Gore-Tex fabrics. That’s no surprise and we have done several articles on this fabric technology, which explain the reasons for why it is so beloved and so useful. Fabric technologies are a necessity when it comes to ensuring the best performance of a jacket, be it in regards to weather protection or its ability to breathe and fit comfortably. It’s for those reasons that many different brands are investing more and more time and resources into developing and perfecting their fabric technologies. Today we will look at another Gore-Tex® technology, the C-KNIT™ Backer Technology. 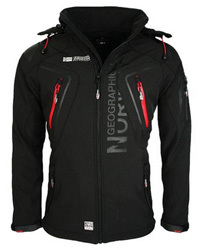 This is the second Gore-Tex product we look into, the first being the ShakeDry Technology. Before we take a look at today’s technology, it’s best to first learn a bit more about the Gore-Tex fabric in itself and what sets it apart from the other fabrics. When it comes to fabric technologies, they are not just a fabric as we know it. What we mean by that is that they aren’t just cotton, polyester or nylon, but a laminate of several layers, which consist of a combination of polyester or nylon and a membrane. The membrane is the actual important part, typically, as it is the one which gives the fabric its breathability quality and, depending on the composition, its weather-resistance. Such is the case with Gore-Tex. Gore-Tex is a highly waterproof fabric, which has a water column rating of over 28.000 mm and it is also very breathable, with a rating of around 15.000 – 25.000 g/m2/24h. 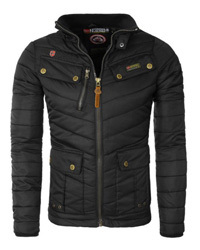 It is also wind-resistant and some of its constructions are actually fully windproof. Where does Gore-Tex get all of those qualities from? From its ePTFE membrane, which was developed by the brand itself. ePTFE is a highly durable material, which contains millions of micro pores on its surface. These micro pores make it possible for water vapors from the inside of the jacket to move through, thus allowing the jacket to “breathe”, but at the same time they are too small for rain and snow to pass through. This is the core build of this technology, but it comes in different construction layers that perform differently and are used for different purposes. One such construction is the C-KNIT™ Backer Technology. The C-KNIT™ Backer Technology is not identical to the other 3-layer fabrics that Gore-Tex has developed, in that it was made to specifically address the needs of trekkers, freeriders, skiers and hikers. In activities such as those, a simple jacket that insulates and protects against the elements doesn’t always cut it. While some jackets may be perfect at keeping you dry, they can be stiff or not too breathable, thus causing overheating and discomfort while wearing it. Those that are made to just provide insulation leave you at risk of getting soaked and tend to be on the bulkier and heavier side. When you are out on the slopes and trails it’s important to have a well-rounded jacket in regards to protection and insulation, but it is just as important for that jacket to be comfortable, lightweight and highly breathable. 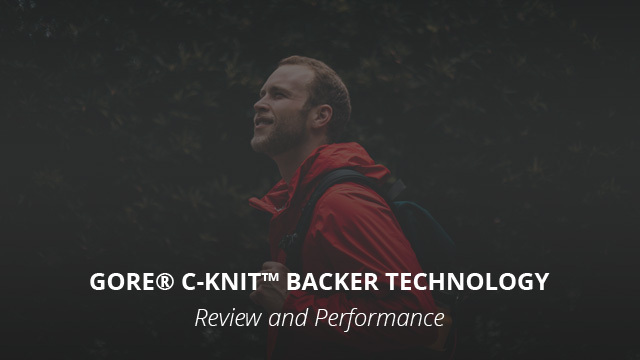 Enter C-KNIT™ Backer Technology, which comes with all of those features. What is the C-KNIT™ Backer Technology? The C-KNIT™ Backer Technology is a 3-layer fabric, made out of a special laminate, which consists of an outer nylon fabric that makes the upper layer, the ePTFE waterproof and breathable membrane that is the middle layer and, lastly, the nylon backer fabric. It’s the backer that actually makes the difference in this technology. The backer is made out of extremely fine nylon strands, which are knitted in a circular way that gives the fabric some stretch. This is a very important quality, because neither nylon nor ePTFE have any stretchability. Why is stretchability so important in this case? It’s because it adds comfort and also aids the jacket in wearing better and performing better because it helps it move with you. 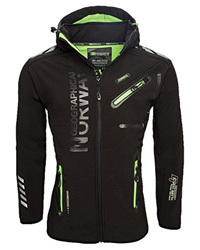 A high-performance jacket, such as those made out of fabric technologies, are notorious for being stiff and having no stretch to them, especially the Gore-Tex ones. And while they do provide great protection, they are not the most comfortable to wear if you intend on moving the upper body extensively. This is the reason why the C-KNIT™ Backer Technology was developed and created in such a way that corrects the issue. Does the C-KNIT™ Backer Technology Work? The short answer is that it does indeed work and it works very well. That’s no surprise because Gore-Tex fabrics perform beautifully and last a very long time, so the reputation is already well-established. In the case of the C-KNIT™ Backer Technology, it works well not just when it comes to being really comfortable due to its lightweight and soft and stretchy composition, but it also works very well when it comes to weather protection. However, this laminate’s best feature is definitely its really high breathability, which prevents clamminess when worn for long periods of time and keeps you dry and cool on the inside. This is key for activities such as skiing, hiking and trekking, during which the body is in constant movement and the risk of overheating and getting wet from perspiration are increased. Professional and amateur reviewers alike have commended the fabric’s ability to breathe and its added comfort, therefore giving a definite answer to the question of whether it works or not. Now, as usual, we will take a look at two jackets that utilize this technology. 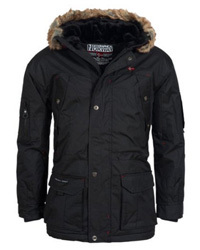 This first design is the Mamatus 3L snow jacket for men by Quiksilver. It is a multi-purpose jacket that comes with a hooded collar, which is high and adjustable for a better fit and for better protection. It is a longer cut than a typical jacket because it is intended for snow activities, thus the added length provides better coverage. On the inside there is also a powder skirt that further helps with minimizing the risk of snow getting through. It has a full-length central zipper and pit vents for added ventilation, which is very important in keeping you cool and dry on the inside. It comes with two side pockets and two chest pockets, and its sleeve cuffs are adjustable with Velcro tabs. 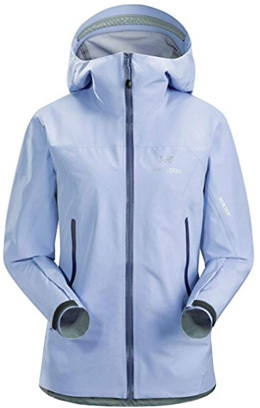 The second design is a women’s jacket by Arc’teryx, which is one of the brand that uses almost exclusively Gore-Tex fabrics in their high-performance garments. 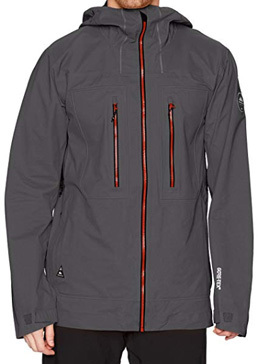 The design we have chosen is the Zeta LT jacket, which is compressible and very light. It comes with high, hooded collar and a drop-tail hem that provides proper coverage when sitting or bending down. There are two side pockets on this jacket and its sleeve cuffs are adjustable with Velcro tabs. It is designed for backpackers and hikers, as it fits comfortably, is smooth on the surface and breathes very well, while also being fully weatherproof. What we have found in the past year from looking at Gore-Tex fabrics is that it’s very hard to be disappointed by their performance. The claims of weather protection and breathability are all backed by how well the garments perform in a variety of weather and environmental conditions. That is the case with the Gore-Tex C-Knit Backer Technology, too. Therefore, if you are looking for a jacket that lasts for years, performs effortlessly and wears comfortably when you are out in nature, then we’d recommend you give the C-Knit Backer Technology a try. Previous Article← Arc’teryx vs The North Face: Which Brand is Better?